Be “like-minded,” Paul said, and “of one mind.” But it was a particular mind he had in view — the same mindedness, the same attitude that the Messiah, Jesus, showed when He became a man and went to the cross on our behalf. Jesus is God. He is the Word about whom John the Gospel writer said, “In the beginning was the Word, and the Word was with God, and the Word was God” (John 1:1). That is how it always was with Him, and how it always will be. Even so, there is something important that happened that changed the world forever. As John went on to say, “And the Word became flesh and dwelt among us” (John 1:14). So Jesus “made Himself of no reputation, taking the form of a bondservant.” The Greek words literally mean that He “emptied Himself.” This does not mean that He in any way ceased to be God in essence or in attribute. It means that He did not cling to His divine prerogatives, but as Phillips says, “stripped himself of all privilege by consenting to be a slave by nature.” Or as the Lexham English Bible puts it, He “emptied himself by taking the form of a slave, by becoming in the likeness of people.” Being God did not mean He could not be a servant, and being a servant did not take away one bit of His divinity. He took on the form of a doulos, a bondservant, a slave. The Greek word doulos views a servant in relationship to his master. Though Jesus is equal to God in His essence, He took on the form of a doulos, to serve the Father and be obedient to Him. Jesus said, “I do not seek My own will but the will of the Father who sent Me” (John 5:30). The form He took did not make one bit of difference to the essence of His being. He was free to serve and it did not rob Him of anything. Jesus not only took on the form of a servant, He came in the “likeness” of men. In the beginning, when God created the heavens and the earth, God said, “Let Us make man in Our image, according to Our likeness” (Genesis 1:26). In the LXX (the Septuagint, an ancient Greek translation of the Old Testament), the word for “likeness” used there is essentially the same one Paul uses here in Philippians. There is a beautiful symmetry at work: Man was created according to the likeness of God, and God, in the person of the Son, came in the likeness of men. The Word, who was with God in the beginning, and indeed is God, became flesh and dwelt among us. He was “found in appearance as a man,” or as Weymouth puts it, “being recognized as truly human” (New Testament in Modern Speech). Jesus “humbled” Himself. In verse 3, Paul said, “Let nothing be done through selfish ambition or conceit.” The Greek word for “conceit” is kenodoxia, literally, “empty glorying” (which is why some versions translate it as “vainglory”). Now compare that with Jesus, who “emptied” Himself (the Greek word is kenosis) and “humbled” Himself. There is no selfish ambition there, no seeking of reputation, no “empty glorying.” While some of the believers at Philippi were apparently operating in empty pride (that is, pride without cause), there was no such vanity in the Lord Jesus. This is not about becoming a servant so that we may one day be promoted to greatness. No, becoming a servant is the promotion and serving one another is greatness. It is a perfect reflection of the divine nature. Having taken the form of a bondservant (in His divinity) and humbled Himself (in His humanity) Jesus became obedient to the Father’s will, even to the point of death. Not just any death, but the most terrifying, most humiliating kind of death — death on a Roman cross. Divine greatness, not to mention divine grace, knows no bounds. Does it surprise you that servanthood is greatness? Does it surprise you that servanthood is truly representative of the divine nature? How does this help you take on the attitude of being a servant for others? Paul continues his appeal for unity among the Jesus believers at Philippi. His “if” statements are rhetorical, of course. He already knows the answers and it is Yes on all four counts. God has begun a good work in them and Paul has every confidence that He will bring them on to maturity in Jesus the Messiah. So he gently reminds them of who they are in Jesus and what that means. Consolation in Christ. The Greek word for “consolation” also carries the idea of encouragement and exhortation. Paul wants to encourage and exhort them “in Christ,” that is, on the basis of who they are in the Messiah. Because it is about His purpose, and His body, the church, and it will be His ability that accomplishes whatever needs to be done. Comfort of love. The Greek word for “comfort” has an aspect of both gentleness and persuasiveness. Wuest calls it “tender persuasion” (The New Testament: An Expanded Translation). Paul says of his own ministry, “for the love of Christ compels us” (2 Corinthians 5:14). Fellowship of the Spirit. Every believer receives the Holy Spirit (Ephesians 1:13-14), who works in us not just as individuals but together as the people of God. He is not many but one, so He joins us all together as one body, the body of Messiah. Paul is always eager for the church to manifest the “unity of the Spirit in the bond of peace” (Ephesians 4:3). Weymouth translates the four “if” statements this way: “If then I can appeal to you as the followers of Christ, if there is any persuasive power in love and any common sharing of the Spirit, or if you have any tender-heartedness and compassion …” (The New Testament in Modern Speech). “Fulfill my joy.” Paul has already expressed the thanks he gives to God, “with joy,” because of their partnership with him in the good news about King Jesus (Philippians 1:3-5). And he rejoices that Jesus is being preached, even by those who do not do it with the best motives (Philippians 1:15-18). His joy is not yet complete, however, because they are lacking in unity. Here, then, is the meat of Paul’s appeal, the thing that will fill his joy up to the brim: That they will live and function in such a way that will reveal the true unity that they have together in King Jesus, through the Holy Spirit. That they will be “like-minded,” or of one mind. This does not mean that there will not be any diversity of thinking or even that there will not be any disagreements. But it does mean having the same purpose and the same focus. Paul also wants them to show the same love for one another, not making distinction between those with whom they agree and those with whom they disagree, but loving all equally. He wants them to be of “one accord,” literally, of one soul, so that they share the same heartbeat, the same desire, the same motivation. Earlier, Paul mentioned some (though not by name) who were preaching the good news about King Jesus out of envy, strife, selfish ambition, and in pretense, making an outward show of it (Philippians 1:15-16). How very ironic! But Paul was thankful that, either way, “whether in pretense or in truth,” Messiah was being preached (Philippians 1:18). Paul was being gentle then, and still is now even as he exhorts them firmly and directly. Selfish ambition, rivalry and a partisan spirit have no place among them. Nor is there any room for the outward show and empty glory of conceit. Let those be gone for good! However, there is something that must take their place: Humility (“lowliness of mind”). Each esteeming the other better than, or ahead of, himself. Or as Paul says elsewhere with very similar words, “In honor, giving preference to one another” (Romans 12:10). Now, this does not mean beating yourself down. And it is not about becoming a doormat and allowing others to run roughshod over you. Nor does it mean that you must ignore your own needs and concerns. But it means becoming a servant, putting others first and looking out for each other as well as for yourself. This will reveal the unity and fellowship we have in the Spirit and show that King Jesus is very real in us. How do you explain the “persuasive power of love”? 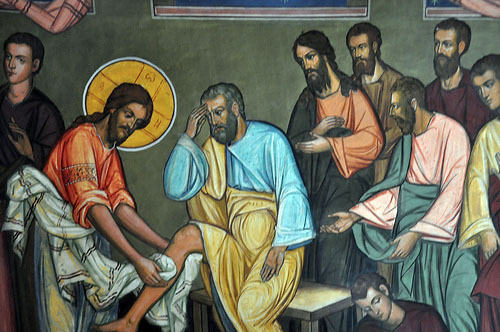 What is the difference between humility and being humiliated? How easy, or difficult, is it for you to put others ahead of yourself? Why do you suppose that is? This passage at the end of the book of Matthew encapsulates the millennial reign of King Jesus the Messiah. At the cross, Jesus disarmed the principalities and powers, the demonic influences that pervert nations and cultures away from God (Colossians 2:15). Their power is now broken and cannot withstand the power and purpose of God in the world. At the resurrection, Jesus became the firstborn from the dead, the firstborn over God’s new creation (Colossians 1:18). The kingdom of God has come into the world and Jesus the Messiah, God’s Anointed King, has begun His reign. This is what all the Old Testament prophets pointed forward to, the time when God would change the world, rescue His people, Israel, and gather all the nations to know Him. It is the time figuratively represented in Revelation 20 as “a thousand years” (which is why it is called the millennial reign). But what happens next? Some believe that this is when the millennial reign of King Jesus begins. Others believe the newly resurrected are carried off to heaven for seven years while there is great tribulation and terror on earth, after which the resurrected ones will return to earth with King Jesus, and then the millennial reign begins. However, Paul says none of this, and what he does say leaves no room for it. What, then, happens after the return of King Jesus and the resurrection of all those who belong to Him? “Then comes the end.” Not seven years of tribulation. Not even the millennial reign — that will have already taken place before the resurrection. But, “the end.” At this point, the millennial kingdom will have reached its fulfillment. What happens at the end? King Jesus delivers the kingdom to His Father. At that time, every rule and authority and power that opposes God will be completely destroyed. Even death itself will be destroyed, cast into the “lake of fire,” as Revelation 2:14 says. But what happens in between the beginning of the millennial kingdom, when Jesus ascended to His throne in heaven, and its completion at His return? Jesus rules and reigns, bringing every enemy under His feet. How does He do this? Through His body, the church, all those who belong to Him. For God has not only put all things under His feet — given Him all authority over them — He has also given Him as head over the church, which is His body. These, then, are the parameters of the millennial reign of King Jesus the Messiah. It began with His ascension and all power being given to Him in heaven and on earth. It will reach its completion when He comes again. In between, we, His body, make disciples of all the nations, teaching them to follow Him in everything. When all the nations are discipled and following King Jesus, then the end of the age will come. Heaven and earth will be joined together as one (Revelation 21) and the will of God will be done on earth exactly as it is done in heaven. In the meantime, King Jesus is always with us, assuring the success of His kingdom and the commission He has given us to fulfill. I would rather follow someone who knows where He is going than someone who does not. Many Christians expect the kingdom of God to come in all at once, lickety split, full and complete. That was the expectation the Jews had in Jesus’ day. They were looking for Messiah to come as a king who would immediately triumphant over the nations, but He came as a suffering servant and was nailed to the cross. For them, a crucified Messiah was no messiah at all, just a contradiction in terms. The disciples also appeared to initially have had the same expectation. After the resurrection, Jesus spent 40 days teaching them about the kingdom of God (Acts 1:3 — that would seem to be a misplaced priority if the kingdom was not mean for this present time). Then before He ascended to His throne in heaven, they asked, “Lord, will You at this time restore the kingdom to Israel?” (Acts 1:6). They wanted it to be full and complete and all at once. The Holy Spirit would come upon them, and when that happened they would be taking the testimony about Jesus the Messiah into all the world. The significance of the word “Messiah” is that it identifies Jesus as God’s “Anointed” King (see Psalm 2). The Holy Spirit was part of the Old Testament expectation concerning God’s coming kingdom, and this expectation was fulfilled when the Holy Spirit came upon the them at Pentecost, and He remains on the church even today. That by itself is enough to establish that the kingdom of God has come and is now present in the world. In Matthew’s account, Jesus came to the disciples and declared, “All authority has been given to Me in heaven and on earth” (Matthew 28:18). Then He sent them out to make disciples of all nations. The fact that Jesus has already been given all authority on earth is another thing that by itself establishes that the kingdom of God has truly begun. Couple that with the coming of the Holy Spirit upon the church, and we have a very powerful combination indicating that the kingdom is now is now present in the world. We are in the kingdom and the kingdom is in us. The kingdom is present in the world inasmuch as the Spirit-baptized church is in the world. The kingdom is now present but it has not yet come in all its fullness — that will not happen until King Jesus returns. But it has most certainly begun, and it continues to grow and advance day by day. We are presently living in between the times of its inauguration in the world (when King Jesus ascended to His throne) and its full manifestation (when King Jesus returns). That is why Paul refers to Him, even now in this present age, as Messiah and King. That is also why Peter refers to us, the Church, as a “royal” priesthood, the priests of the King. I recently posted about the growing presence of the kingdom of God in the world, “Carrying the Kingdom.” Someone asked how I could speak of the kingdom as advancing. It did not seem to him that the kingdom is growing and things are getting better, but that things are getting worse. However, I think the world is in a much better condition since the cross, the resurrection and the ascension of King Jesus to His throne. For example, in addition to many wonderful technical advances, which make life considerably easier for a large and growing portion of the world, there have also been tremendous advances in medicine and the healing arts — many people are living longer, healthier lives today than in the past. The world is also a much more civilized place than it was centuries ago. Though there are places where we can still find barbarity, it is not as prevalent as it used to be. Much of this improvement has been because of the influence of Christianity, the Church and the gospel of Jesus Christ. A number of years ago, D. James Kennedy and Jerry Newcombe wrote a book called What If Jesus Had Never Been Born? 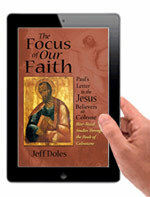 It talks about the pervasive and amazing influence the gospel has had in the world. You can preview the book a bit at Amazon. Even just perusing the chapter titles will give you an pretty good idea of how the world is a much better place because the kingdom of God has come. I also recommend a recent book by Christian sociologist Bradley R. E. Wright, Upside: Surprising GOOD NEWS About the State of Our World — the title speaks for itself. Though there is much trouble in the Middle East with the Arab states, and has been for well over two thousand years, there have recently been hundreds of thousands of Muslims who have come to Christ there, with thousands of new churches planted in Muslim countries, many of them even in the more difficult Muslim communities. Jerry Trousdale has written a book about it called called, Miraculous Movements: How Hundreds of Thousands of Muslims Are Falling in Love with Jesus. Evangelism is exploding in many parts of the world and among many different groups. It has been estimated that the church in China is growing by about 20,000 new believers each day. Plus another 20,000 new believers in Africa. There is still much left to do, of course, but there is a lot that has already been accomplished that has changed the world for the better. I believe that the commission Jesus gave the disciples in Matthew 28:18-20 will not fail but will be fulfilled, that all the nations of the world will become disciples of King Jesus. The kingdom of God has come into the world, is present today and continues to increase and advance. Be encouraged, Jesus is Lord over all and His kingdom is increasing everyday. Some Christians believe that the kingdom of God is not for now but for a later time, and that when it comes, it will come suddenly. But the New Testament speaks of it in a very different way. Jesus came preaching the gospel of the kingdom of God, “The time is fulfilled, and the kingdom of God is at hand. Repent, and believe the gospel” (Mark 1:15). He was announcing the good news that the kingdom of God had now come into the world. And it has never left. Now let’s take a look at the nature of the kingdom, whether it comes suddenly, as some people think, or gradually. In keeping with the way Jesus began His ministry, the parables He taught are mostly about the kingdom of God. The parables in Matthew 13 are explicitly about the kingdom, and in them we can see something of how it comes. The kingdom of heaven is like a man who sowed good seed in his field; but while men slept, his enemy came and sowed tares among the wheat and went his way. But when the grain had sprouted and produced a crop, then the tares also appeared. First, notice that the kingdom is likened to a seed that is sown. That is a very good indication that the kingdom of God comes gradually because that is the nature of a seed. No one sows a seed and expects it to sprout immediately into a full-grown plant. That happens over time. Notice also that in this parable the man sowed seed and then he slept. The day passed into night and the man went to bed. “While he slept” his enemy came and sowed tares among the wheat and went his way. The presence of “while” indicates the passage of time. Then, when the grain sprouted and the crop began to come up, the tares also appeared. This did not happen immediately but gradually, as is the manner of seeds. They do not suddenly shoot up as full-grown plants. They sprout and then they continue to develop. The problem here was that the tares were also sprouting. The servants came to the master and wanted to rip the tares out of the ground. But the master did not permit them to do that because he did not want the wheat to be damaged in the process. Now look at what the master said: “Let both grow together until the harvest, and at the time of harvest, I will say to the reapers” (v. 30). There is a process of growth and a period of waiting between the time the seed sprouts and the time of harvest comes. It is not all at once but happens gradually, over time. That is exactly how it is with the kingdom of God, because this is a parable that is explicitly about the kingdom. Here again, the kingdom is likened to a seed. Again notice that there is a process of growth, indicated by the words “when it is grown.” This shows the passage of time. Also, note that it “becomes” a tree. It is not sown as a tree but as a seed. However, as it grows, at some point it develops into the form of a tree, and one day becomes large enough to host the birds of the air. This is how it is with the kingdom of God. It began as a seed and has been gradually growing up into a tree that is large enough for the nations of the world to come and find a home. A third, very brief parable follows, but this time the kingdom is likened to leaven. “The kingdom of heaven is like leaven, which a woman took and hid in three measures of meal till it was all leavened” (v. 33). Here again, we see that the kingdom comes gradually, just as leaven gradually works its way throughout the dough until the whole lump is completely leavened. This does not happen instantly but gradually. 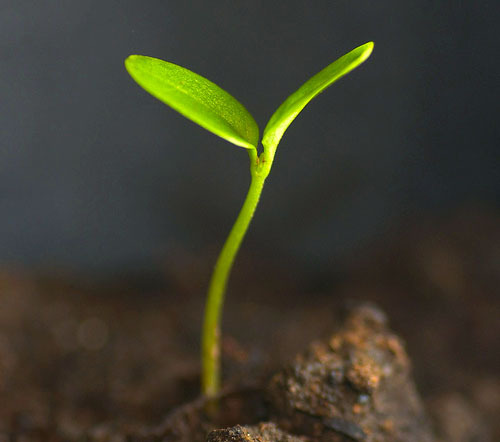 In Mark 4, we find another “seed” parable about the kingdom: “The kingdom of God is as if a man should scatter seed on the ground, and should sleep by night and rise by day, and the seed should sprout and grow, he himself does not know how. For the earth yields crops by itself: first the blade, then the head, after that the full grain in the head. But when the grain ripens, immediately he puts in the sickle, because the harvest has come” (Mark 4:26-29). The man sows the seed, but it does not immediately sprout into a plant ready for harvest. It is the season of sowing, not of reaping. Days and nights pass. The seed sprouts and then grows (the man does not know how it happens, he just sows the seed). Note the progression — first, the blade, then the head, then after that the full grain, then the grain ripens, and then it is ready for harvest. It all happens gradually, not all at once. That is what the kingdom of God is like. It does not come suddenly but gradually: first the blade, then the head, then the full grain in the head, then the grain ripens and it is ready for harvest. The kingdom of God has already been sown in the earth, and though we cannot say exactly where we are in the process, it is clear that we are not yet at harvest time — that will not come until the end of this present age when King Jesus returns. All we know is that we are living somewhere in between the season of sowing the kingdom and the season when it is fully ripened and ready for harvest. That is, we are in the season when the kingdom grows and increases. It happens gradually, not suddenly. The seed has been sown and the kingdom has begun in the world, though it may not always seem that way to us. However, regardless of how things may appear to us at any given moment, the truth remains that it has already begun and continues to grow and increase, because that is what taught. 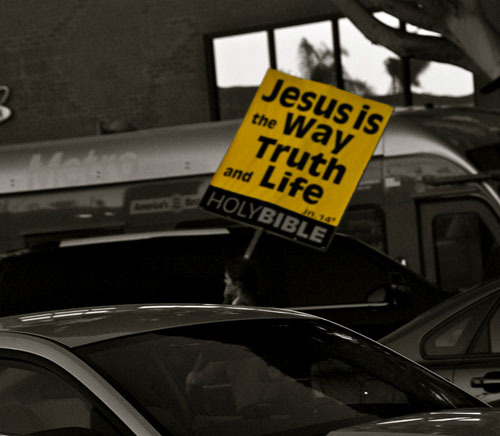 What we observe in the world must eventually line up with the truth of the Word. So, whatever we might read in the daily newspapers or see on CNN or Fox News, it does not at all disprove what Jesus taught in His parables. It does not mean that the “seed” of the kingdom has not yet been sown or that the “wheat” is not yet present and growing in the world. It only shows that harvest time has not yet come and that the tares are still growing along with the wheat. 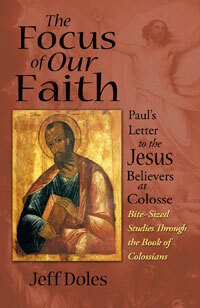 My new book is out, a study in Paul's letter to the Jesus believers at Colosse. It is available in paperback through our ministry and at Amazon. It is also available in Kindle, epub and PDF formats. You can preview a bit of it at the Kindle link below. 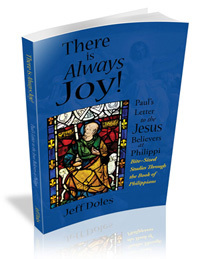 The format is the same as my current series of posts on Paul's letter to the Jesus believers at Philippi. Preview with Amazon's "Look Inside"
These are “bite-size” studies to help guide you through Paul’s letter, a little at a time. At the end of each study are focus questions to help you think further about the truths Paul brings. They are open-ended questions to allow for maximum personal reflection and group discussion. The Gospel According to Mark tells us that the Lord Jesus came “preaching the gospel of the kingdom of God” (Mark 1:14). I believe there is only one gospel and that it is the announcement that the kingdom of God has come, and Jesus is the one God has anointed to be King. Someone asked me, then, how I would share the gospel of the kingdom of God with a 24-year old at a Starbucks. In such a conversation, I might look for it to go somewhat along these lines: I would listen to whatever he has to say. Sooner or later, he will talk about how messed up things are. It will probably not take too long for him to get to that — he’s a 24-year-old. He is not thinking about the next life, he is thinking about how messed up this life is. That will most likely be the point of his greatest concern and lead to the point of his greatest need. That’s when we can discuss the nature of the world, and I will point out that God did not create it for the mess that we see, but that God created the world, and us, to reflect His glory and goodness. That’s what Genesis 1 is about. In the beginning, God — who exists as Father, Son and Holy Spirit — created the heavens and the earth, and it was all good. 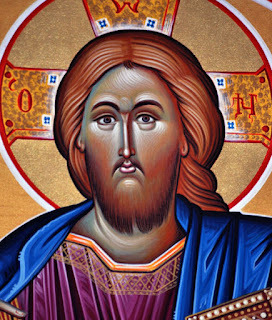 Then He said, “Let Us make man in Our image and according to Our likeness … and let them have dominion over all the earth.” We were meant to bear the image of God, to be His “icon” in the world — to show off His goodness all over creation and bring all of creation into alignment with the splendor of heaven. But God immediately had a plan to rescue mankind from this mess and restore creation. It began with Abraham and Isaac and Jacob in the book of Genesis. God created a nation from them, Israel, to bring forth this rescue into the world, to every nation and people. But even the nation God created got messed up. So God promised that He would raise up a King from out of this nation who would rescue it and all the other nations of the world. This is the Messiah, which means “Anointed One.” And this is what the Old Testament is about — God promised through His prophets that this Messiah would come and set everything right in the world. The Messiah would bring the kingdom of God into the world and would Himself be King. This is where the New Testament begins, where the promise begins to be fulfilled. The Son of God, who created the world, came into the world. He became flesh and dwelt among us to get personal with us. His name is Jesus and He is the Messiah God promised, the one God anointed to be King. Jesus said that whoever would trust in Him would enter into “eternal life,” which is the life of God’s kingdom both now and forever. And He said that if we seek this kingdom — the rule and reign of God to set everything right — and make it our priority in everything, everything else would be taken care of. Now, Jesus was not unopposed in this. The enemy of God, who fooled man away in the first place, was desperate to stop God’s destiny for the world. Sometimes he is called “satan,” sometimes “the devil.” And there are a number of what the Bible calls “principalities and powers,” the demonic forces and influences that stand behind every oppressive regime, government and expression of evil in the world. But they were no match for God and no match for His Messiah. The great conflict took place at the cross, where Jesus the Messiah not only dealt with our sin and our sinfulness, He disarmed the “principalities and powers.” Through His death, He broke the power of the one who has the power of death (that is, the devil). Three days later, God raised Messiah from the dead. He is called the “firstborn from the dead” and the “firstborn over all creation.” With the principalities and powers disarmed, and Messiah raised from the dead, new creation has begun, and all who belong to Messiah, through faith in Him, are part of that new creation. Jesus’ resurrection is the guarantee that all who belong to Him will also be raised from the dead when He returns. The kingdom of God has come to set things right in this broken world, and Jesus is the King. 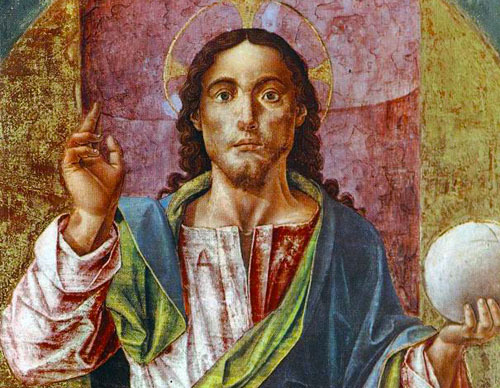 All authority in heaven and on earth belongs now to Him, and He sent His disciples out to tell the whole world, to teach all the nations all that Jesus taught them. But the world is still messed up in many ways because the kingdom is a work in progress. Jesus told parables about how the kingdom starts small and grows big. One day it will be here in all its fullness, when King Jesus returns. It has already begun but is not yet done, and we are living in between the times. God’s purpose is to gather everything in heaven and on earth together as one and reconcile all things to Himself through King Jesus. And King Jesus is calling the whole world to become a part of His kingdom, to trust in Him and walk in His ways. Gehenna is also the term associated with destruction. In Matthew 10:28, Jesus said, “do not fear those who kill the body but cannot kill the soul. But rather fear Him who is able to destroy both soul and body in hell [gehenna].” Notice that it is not just the body that is destroyed in gehenna, but the soul as well. This is the destruction of the entire being. At the end of the book of Isaiah, we read an interesting description of what happens at the end. It is about what happens when God’s glory has been declared to all the nations and He makes the new heavens and the new earth (Isaiah 66:22). This portrays what will happen to the wicked dead. They are corpses. There is no life in them at all. Notice, “their worm does not die, and their fire is not quenched,” the same description we read about gehenna in Mark 9. The fire cannot be quenched and the worm does not die. In other words, nothing can stop them from consuming the wicked dead completely. This is total destruction. When Jesus uses the word gehenna, He is not talking about a literal burning, with a literal worm or a literal fire, but it conveys to us the destruction that awaits those who do evil and do not repent. They are consumed by the “fire.” That is gehenna — fire and destruction. 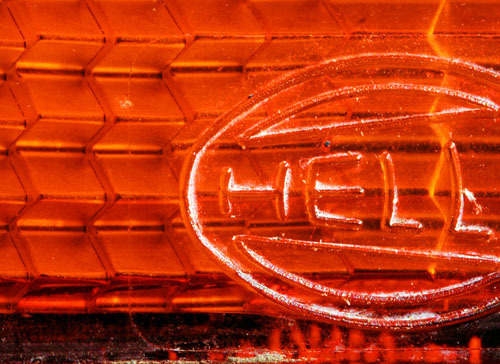 The other word translated as “hell” is the word hades. It is found 11 times in the New Testament. It is also found in the LXX (the Septuagint, the ancient Greek version of the Old Testament), over 60 times, where it translates sheol, the Hebrew word for “hell” and “the grave.” It speaks of the place of the dead. 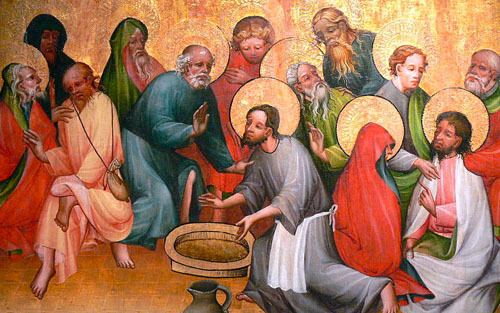 At Pentecost, when Peter stood to preach, he declared the resurrection of the Lord Jesus. Quoting from Psalm 16, he said, “For You will not leave my soul in Hades, nor will You allow Your Holy One to see corruption [decay]” (Acts 2:27). Then Peter speaks of the “prophet” (David) who wrote that, “He, foreseeing this, spoke concerning the resurrection of the Christ, that His soul was not left in Hades, nor did His flesh see corruption” (Acts 2:31). There is also this very interesting passage near the end of the book of Revelation. This is the end of chapter 20. The very next thing we read, in Revelation 20:1, is this: “Now I saw a new heaven and a new earth, for the first heaven and the first earth had passed away.” This is very much like what we read at the end of Isaiah. God makes the new heavens and the new earth, and then we read of the destruction of the wicked — by fire. Someone asked how Jesus could be “given” all authority in heaven and on earth (Matthew 28:18). Did He not, as God, always possess that authority? We need to remember that Jesus is fully human as well as fully divine. He is the God-man. In His divinity, He has always existed, without beginning or end, as the Son of God. But His human nature had a beginning in time and space. John writes, “In the beginning was the Word, and the Word was with God, and the Word was God … and the Word became flesh and dwelt among us” (John 1:1-2, 14). Now notice, in Matthew 28:18, that Jesus said that all authority “has been given” to Him in heaven and on earth. This indicates that there was a time when that was not so. 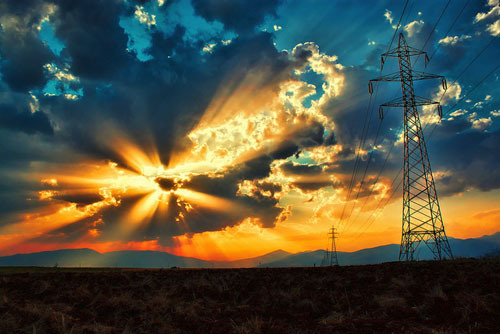 That is, as the God-man, He did not always possess all authority in heaven and earth. In His divinity, Yes, but in His humanity, No. In Philippians 2, we see something else that was given to Him. Because of the cross, and through the resurrection, Jesus the Messiah has been “given” the “name which is above every name, that at the name of Jesus every knee should bow, of those in heaven, and of those on earth, and of those under the earth, and that every tongue should confess that Jesus Christ is Lord, to the glory of God the Father” (Philippians 2:9-11). Paul is really saying the same thing here that Jesus said in Matthew 28:18. All authority in heaven and on earth has been given to Him; the highest name has been given to Him, so that all in heaven and on earth must bow before Him and confess that He is Lord. I was watching in the night visions, and behold, One like the Son of Man, coming with the clouds of heaven! He came to the Ancient of Days, and they brought Him near before Him. Then to Him was given dominion and glory and a kingdom, that all peoples, nations, and languages should serve Him. His dominion is an everlasting dominion, which shall not pass away, and His kingdom the one which shall not be destroyed. So it is not simply as God that Jesus has been given these things. It is as the God-man, because of the great victory He won on the cross over sin and death and the principalities and powers, and by the vindication He received when God raised Him from the dead. Here is a breath-taking realization: The One who rules and reigns over heaven and earth is fully human as well as fully divine.